Native Americans from several dozen tribes have inhabited what we call Greater Boston for at least 10,000 years. Despite centuries of ill treatment, coerced conversion attempts, social marginalization, and painful acculturation, the complex nature-based spiritual traditions of nearly thirty distinct tribes and bands survive in New England today. The more than 6,000 Native Americans who call Greater Boston home are active through a range of social and community organizations. Throughout the year, a variety of Native ceremonies, rituals and pow wows attract anywhere from a few dozen to several hundred participants. Although other sections in this online resource focus on the history and community life of religious traditions in Greater Boston, Native Peoples extend well beyond the urban center. Therefore, this essay examines their unique history and spiritual presence throughout the entire state of Massachusetts. At the time Europeans began settling in what is now the state of Massachusetts in the late 16th and early 17th century, the land was home to tens of thousands of Native Peoples from many tribes. These included the Pawtucket (or Penacook), the Massachusett, the Pokantoket (or Wampanoag), and several other smaller bands including the Nipmuck and Pocumtuck. To the south, in what is now Rhode Island and Connecticut, there were bands of Pequot-Mohegans, Narragansetts, Western and Eastern Niantic, Quirpi, Tunxis, and Podunk Indians. Although it is much disputed exactly how long the ancestors of these Native Peoples had been living in this area, it is generally agreed that some have been here for at least 12,000 years. Indian paths and campsites, located in the 6,500-acre Blue Hills Reservation near Boston, are thought to be approximately 10,000 years old. At the time of contact with the Europeans, Native tribes had rich and complex spiritual traditions. The concept of Native American “religion” is problematic in two ways. First, in no Native American language is there a single word equivalent to the English word “religion.” Religion does not exist as a separate category of activity or experience; rather, it is pervasive and interconnected with all aspects of Native Peoples’ life-ways. Second, there is not a single American Indian religious tradition or spirituality, but rather a great diversity of traditions, beliefs, practices, and cultural forms. Despite this diversity, however, there are certain principles fundamental to most Native Peoples that are important to understand as we look at what has happened to Native beliefs and spiritual practices in Massachusetts. First, in Native traditions, there is a special quality and intensity of interrelationship with the forms and forces of the natural environment. Detailed knowledge of all aspects of their immediate habitat led Native Peoples of this area to accumulate lore that integrated the pragmatic with the sacred. Second, in Native traditions, time is not understood as linear, but is thought of as cyclical and reciprocal. The seasons and the span of life are understood in terms of a circle and are expressed again and again through ceremonial forms and acts. Third, for Native Peoples words have a special potency that is integral to their specific sounds, and therefore what is named is understood to be present. Thus, recitation of myth is understood to be a reenactment of primordial events. Finally, “arts and crafts” are imbued with sacred meaning and power. Similar to the power of breath and words, the natural materials and the finished forms created by Native peoples are understood to be manifestations, rather than representations, of sacred power. At the time of contact with non-Indians, these traditions of belief and practice were still very much alive and dynamic, since Native traditions are oral rather than written, and are fluid and always expanding. From the early 17th century onward, ever-increasing contact with European settlers led to tumultuous change. Entire tribal groups and linguistic families became extinct. Others lost much of their population through violence perpetrated by the settlers and, even more, through a series of disastrous epidemics of diseases to which the Indians had no natural immunities. It is estimated that 90 percent of the Native population of the New England area had died by 1650. Many of those that survived tried, in varying degrees, to integrate into white culture. In the late 1600s, growing ill-treatment by the settlers and their continued encroachment on the land led “King Philip” (as the colonists referred to Metacom, the son of Massasoit, chief of the Wampanoags) to join with all the Indians from the Merrimac River to the Thames to force out the settlers. King Philip’s War, which lasted from 1675-1677, was the most disastrous period in the history of New England for the Indians. Philip and the leading chiefs were killed and the Wampanoags and Narragansetts were practically exterminated. Of fifty-two Wampanoag tribes that were living in this area in the mid-1600s, only four tribes survive today. Most of the survivors fled west to the interior and many of those who surrendered were sold into slavery. In the mid-1600s, Harvard’s John Eliot launched a mission to convert Indians to Christianity, translating the Bible into the Algonquin language and establishing “Indian Praying Towns” for Native converts. Those who agreed or were coerced into this situation, however, found themselves under suspicion from both other Native groups as well as from the colonists. There were originally 14 praying towns in the Massachusetts Bay Colony, but by 1684, only four of these remained: Natick, Ponkapoag area (the area of the Blue Hills Reservation), Wamesit (Lowell), and Chabanakongkomun. There were ten communities of Christian Indians in Plymouth Colony, ten on Martha’s Vineyard, and five on Nantucket. Farther west, Christian influence and acculturation was less strong, however, as there had been no missions in the western two-thirds of Massachusetts before King Philip’s War. The 18th and 19th centuries were years of slow and painful acculturation, during which the surviving Massachusetts Indians struggled to keep their economic, cultural, and religious traditions alive. Different reservations were given to and taken from the tribes as the settlers’ needs changed. As new waves of missionaries came and went, Praying Towns and Christian Missionary schools for Indians were founded and disbanded. Missions founded in the 17th century were hard hit by King Philip’s War, but the religious fervor of the Great Awakening in the 1740s rekindled Christian missionary outreach and conversion. Despite the heavy missionization in much of the Natives’ territory, most surviving groups showed remarkable ability to cope with change and cultural deprivation by adapting and borrowing from the non-Indian world with pragmatic yet cautious selectivity. This ability exists to the present day. Indian relations with Roman Catholic and Protestant denominations of Christianity spans two extremes: those who have embraced Christianity fully and have denounced their traditional belief systems, to those who have embraced sacred native ways and rejected Christianity. Most Natives embrace a system of belief and practice which falls somewhere between the two, however, achieving a syncretism in which neither negates the other. For the Native Peoples living in Massachusetts today, multiple religious identity is a way of life. 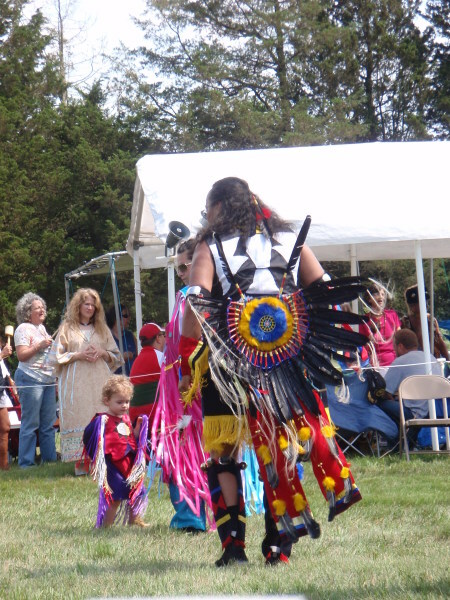 Although many Natives do have some Christian practice and many self-identify as Christians, many also take part in traditional annual celebrations that acknowledge the cycles of the earth, moon, and sun, and the agricultural seasons. Some of the most important of these include the Planting Ceremony in the Spring, the New Year’s celebration at the end of April, the Harvest (Green Corn) Ceremony in the Fall, the changing of the seasons, and the equinoxes and solstices. 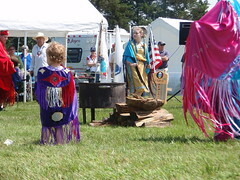 In addition, there are the Four Directions Ceremonies, Sweat Lodge Ceremonies, and Color Ceremonies. For large gatherings, a farm, reservation land, or a public building is usually used; for smaller ceremonies, however, people may gather at a certain oak tree, or by a lake or river that has special meaning to the people involved. These ceremonies may attract anywhere from a handful of people to several hundred. 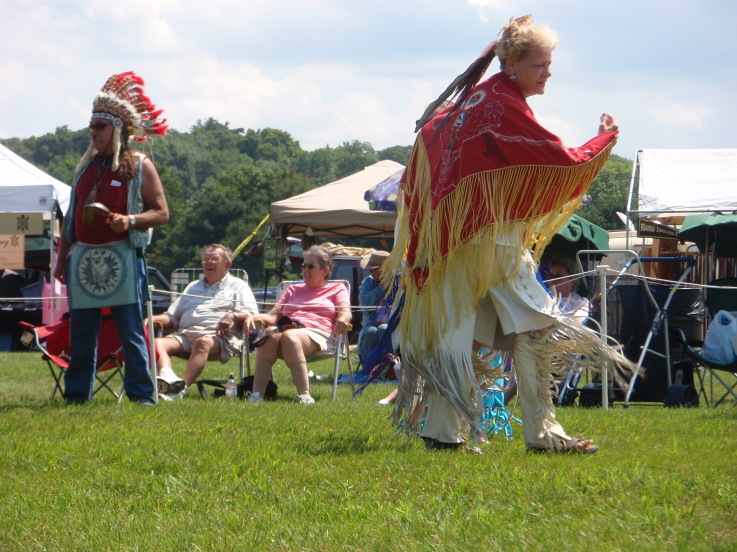 Also significant are the many pow-wows that take place in Massachusetts each year, which include gatherings in Middleboro, Topsfield, Marshfield, Westford, Haverhill, Concord, Braintree, and Leominster. The role of the Medicine Man (or less frequently the Medicine Woman) is also very important in local Native culture. In Massachusetts each tribe has its own Medicine Man who is responsible for leading the seasonal ceremonials and acts as spiritual advisor to his people. One whose work spanned far beyond his own community and who was a well-respected member of the Native community at large is Cjegkitoonuppa (Slow Turtle), of the Mashpee Wampanoags. Although a Wampanoag, Slow Turtle served the entire Native community in the area and even did spiritual work with some non-Native peoples, including prison ministry. Until his death in 1997, his role in the community was to counsel, lead ceremonies, give advice, and keep alive the sacred ways that are tens of thousands of years old. One issue of exceptional importance is federal recognition. Of the tribes native to Massachusetts, only one—the Wampanoag of Gay Head, on Martha’s Vineyard—has received federal recognition. This status gives tribes the right to government land, money to build housing and administrative buildings, and the right to repatriation of stolen artifacts and human remains under the Native American Graves Protection and Repatriation Act. The metropolitan Boston area is currently home to over 6,000 Native Americans, according to the North American Indian Center of Boston. Typical of urban Native areas, the Boston Indian community is comprised of people from a wide array of tribes, both from New England and the rest of the country. 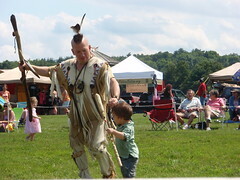 Significant numbers of New England Wabanaki peoples are represented in the population; these are primarily Micmac, but also include Abenaki, Maliseet, Passamaquoddy and Penobscot. There are also many southern New England tribes including Wampanoag, Nipmuck, Narragansett, and Mohecan. Overall, more than thirty tribes, bands, and nations are represented. In Greater Boston, Native Peoples work diligently to preserve their rich heritage, unique language, and spiritual practices through educational outreach and community programs. Social organizations such as the North American Indian Center of Boston and the Commission on Indian Affairs address the most severe challenges facing the Native community, including poverty, access to health care, and limited educational opportunities. Throughout the year, a variety of Native ceremonies, rituals and pow-wows attract anywhere from a few dozen to several hundred participants. 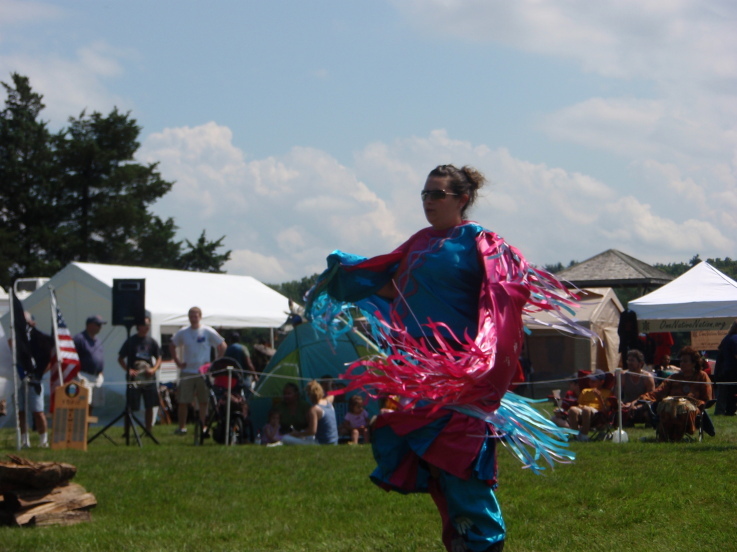 These efforts celebrate the rich history of Native Peoples in Massachusetts and help to preserve their spiritual beliefs and cultural practices for future generations.